This year Polar Bear Pitching competition is searching even bigger visibility around the world. So is also Oulu-based company QuietOn who is putting lots of effort on global visibility. The company who invented active noise canceling earplugs has now decided to take part in home town’s own show Polar Bear Pitching, and its "Dark Bear” semifinals. 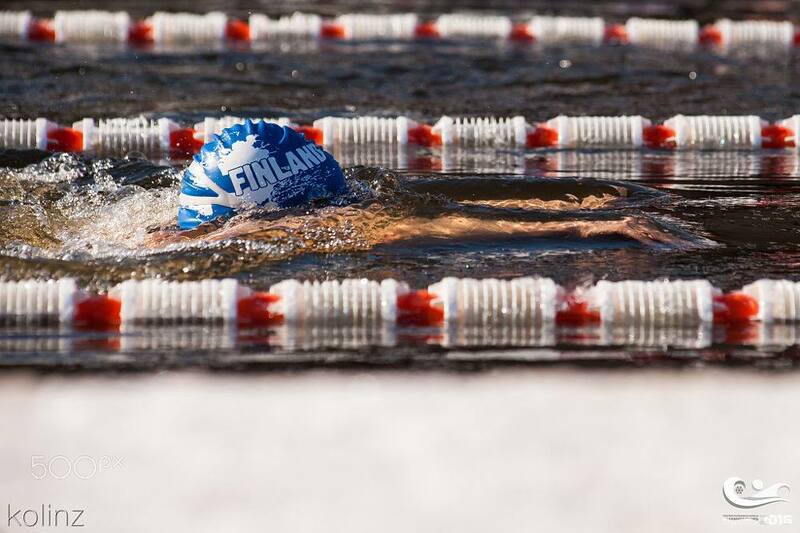 QuietOn is making it properly: They have hired a world championship owner of winter swimming, Salla Lamminpää. Well, in real life Salla who is competing in 25m and 50m series is also managing QuietOn’s customer service and logistics process. "It’s fun that I can introduce my talents so versatile ways at work. I’ll try to present values of our company, tell about QuietOn’s new sales channels and open our internationalization strategy. Ice swimming and the earplugs that create silence are a good match. Wellbeing and peacefulness are common for them", thinks perky Salla. "We will compete seriously and Salla is our silver bullet! I don’t think anyone else in our team is in ice hole shape for success", laughs QuietOn’s Founder Janne Kyllönen. "I need to say that my winter swimming distances are quite short so this is fair for the other competitors too. Let’s see how much I’m able to chat about QuietOn’s benefits before I freeze out", smiles Salla who usually dips in an ice hole many times a week. Polar Bear Pitching is stylish and maybe the world’s most fun investor event. It’s arranged in Oulu 14th -15th of February. Polar Bear Pitching is a non-profit organization (NPO) from Oulu, Finland. Its mission is to help startups to succeed and break down the barriers that block development and growth. The Polar Bear Pitching event is organized in co-operation with the University of Oulu, the city of Oulu, Oulu University of Applied Sciences, Business Kitchen, and other organizations, entrepreneurs and volunteers of the community. QuietOn Ltd is technology enterprise established in 2015. Company designs and manufactures active noise cancelling earplugs that were developed by Matti Nisula and Janne Kyllönen. The products are delivered globally. QuietOn’s personnel have a strong Nokia mobile phone background.